Few things are as satisfying as a freshly baked lasagna with its layers of hearty meat sauce, cheese and herbs baked together until bubbly. The recipe below is my favorite low-carb version. It’s made with cabbage leaves in place of noodles, and it’s so good, I'm positive you won’t even miss the pasta. 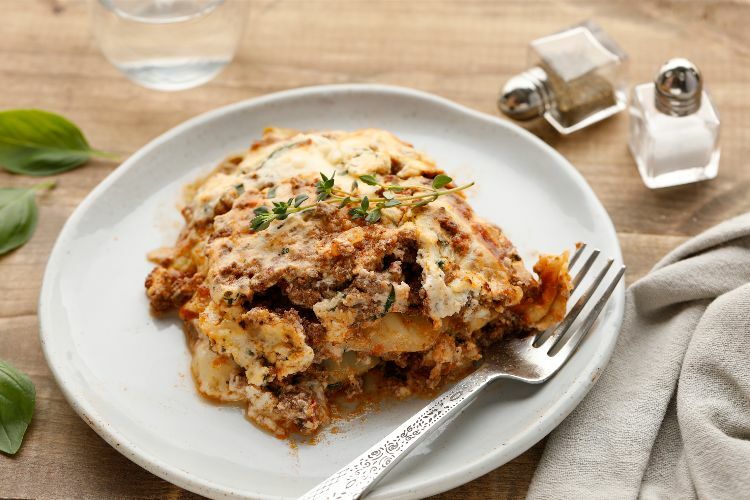 Flavorful sauce and filling are the keys to making a low-carb lasagna that will make those eating it forget that noodles are missing. This sauce is simple to make but full of flavorful ground beef, tomatoes, mushrooms, onions, garlic and Italian herbs. The filling is a mixture of ricotta cheese, Parmesan cheese and fresh basil. Bring a large pot of salted water to a boil. Add the whole (cored) cabbage to the boiling water and cook for 5 minutes. Drain and let cool. 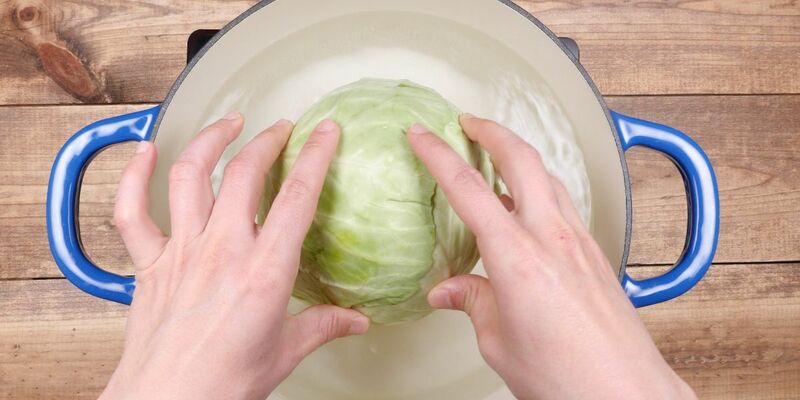 Once the cabbage is cool enough to handle, pull off the leaves and pat them very dry with paper towels. Heat the oil in a large skillet over medium-high heat. Add the onions and cook, stirring frequently, until softened, about 5 minutes. Add the mushrooms and cook, stirring, for about 5 more minutes, until the mushrooms are browned. Add the garlic and crushed red pepper and cook for 30 seconds more. Transfer the vegetable mixture to a bowl. In the same skillet, brown the beef over medium-high heat, stirring and breaking up the meat up with a spatula, until completely browned, about 5 minutes. Drain off any excess grease and stir in the crushed tomatoes, onions and mushrooms, and salt and pepper. Bring to a boil, and reduce the heat to low, cover and simmer for about 20 minutes. While the sauce is cooking, make the ricotta filling. In a medium mixing bowl, combine the ricotta, basil, Parmesan cheese, egg, italian seasoning, salt, and pepper, and stir to mix well. Spoon about half a cup of the meat sauce into a 9-by-13 baking dish. Cover the bottom of the pan with a layer of cabbage leaves and top them with more of the meat sauce. Spoon about half of the ricotta mixture on top and sprinkle one-third of the mozzarella cheese over that. Top with another layer of cabbage leaves, more sauce, the remaining ricotta mixture and half of the remaining mozzarella. Finish with a layer of cabbage, topped with sauce, and the remaining mozzarella. Cover the baking dish with aluminum foil and bake in the preheated oven for 15 minutes. Remove the foil and bake for about 10 minutes more, until the cheese is lightly browned and bubbling. Remove from the oven and let rest for 20 to 30 minutes before serving. Serve warm.